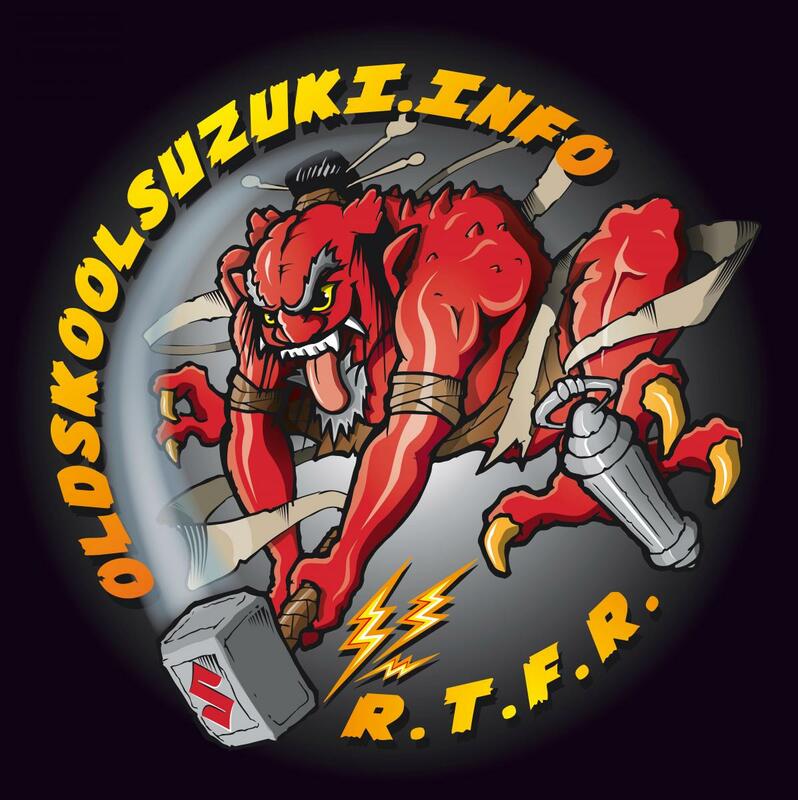 Oldskoolsuzuki.info the website (originally Robby Nitroz) was set up by a Dutchman Mr7/11. The site was constructed from scratch as a way for sharing his passion for 80s and early 90s 4 cylinder Suzukis. Supported by PP together they went on to build the OSS site and the legacy we know today. The site was dedicated to sharing information about the modification and evolution of the bikes made during what many of us consider being the golden age of Suzuki’s motorcycle manufacture. As well as the unrivaled collection of files and technical information that the site stored in its info section there was also an active news page which kept members informed of what was happening in the ever expanding OSS world. To Patrick and Simon, these first 2 parts of the site were of primary importance. The site also contained a forum which was segregated by engine type (air-cooled, oil-cooled etc.) where members could ask technical questions and take advantage of a collection of some of the biggest OSS brains on the planet. By far the most important section of the forum was the project section, were members could share a blow by blow account of their OSS builds and projects. The build threads became a master class in “how to” and sometimes “how not to” but they also served as a powerful inspiration for others to dive in and build the bike that previously they could only have imagined. OSS regularly held gatherings, centred on the bikes, with dyno shoot outs and photo shoot opportunities. There was also the much coveted bike of the month award. The site was built a decade and a half ago before remote hosting was cost effective. This meant that the site was run from a physical server owned and maintained by an admin. This meant that if the hardware broke the site broke. It also meant that the single connection in and out of the site limited the speed of the site. The once cutting edge YaBB platform on which the site was built also became slow and clunky due the many modifications that had been made to it over the years. As the technology of the hardware, set up and software became dated and less reliable the site became more vulnerable to cyber-attack. In addition, the sheer size of the data being stored began to cripple the ageing platform due to the limited bandwidth issues associated with its set up. Changes in personal circumstances saw Patrick the owner passes the reins on to Simon in 2010? This meant the daily grind of keeping the aging platform afloat fell to just Simon and the other Admins Rene, Jelle, and Badr. In 2012 the site finally collapsed under a torrent of spam-bots. Attempts to revive the site were unsuccessful and further changes in the personal circumstances for the site owners and the sheer enormity of rebuilding/migrating the site prevented the site being relaunched. Without the main site and the forum the OSS community was fragmented. Banoffee (who was a moderator from the original site) started a facebook group in order to simply keep the OSS community informed about the site’s return. When it looked clear that the site was not returning in a hurry and the facebook page began to grow in size, he recruited 3 of the the original admins – PP, Rene EFE and Jelly and along with Katanamangler they decided to try to establish some of the original OSS values on the facebook group. This wasn’t easy because facebook was facebook and many of the subscribers to the group knew nothing of the Oldskool ways. Nonetheless the admin team stuck to their guns and tried as best they could to keep the OSS flame burning in wait of a new site. The facebook group was only ever designed to hold the fort for a short period until the site returned. After over a year of no OSS website an original OSS member named Ash set up a temporary forum on the understanding that it was run in the OSS way and was closed down when the main site returned. This was welcomed by many original OSS members who didn’t use facebook. Ash was assisted by Captain Chaos (a moderator from the original site) as well as others. Ash later asked Rene EFE, Banoffee and Katanamangler to moderate and give input to the temp forum. The temp forum was set up using the proboards platform which works like facebook in the respect that it allows for a free forum platform and functions but the information and content is owned by proboards and the site must carry pay per click advertising banners. Like the facebook group, the temporary forum was only ever meant to bridge a gap while the main site was rebuilt. 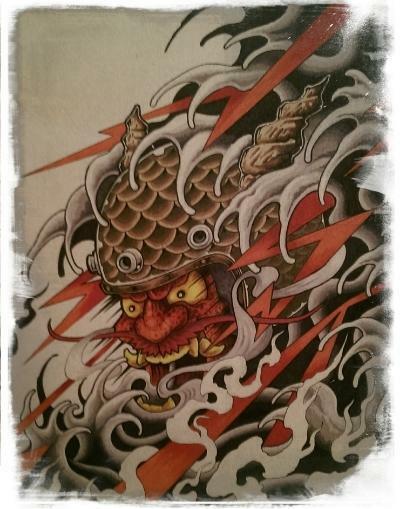 When it became clear that neither Mr7/11 or PP were going to be able to devote the necessary time to build a new site, Mr7/11 and PP passed the URL (oldskoolsuzuki.info) and the all the rights to Rene EFE and the facebook admin team to build a new site. Ash and Captain Chaos had been kept informed of and were consulted on the development of the new site build and they agreed to help with the migration of members from the temporary forum as well as moderate on the new site. It was agreed that once everyone was happy with the new site that the temp forum would be locked. The new site has been set up with all of the same aims and objectives as the original. To create a place where those who want to keep these lovable old dinosaurs in the here and now and on the road can gather. A place to share information and document projects for others to enjoy. The rules haven’t changed ( at all) they remain as oldskool as the bikes themselves.